With wide-angle high-definition cameras, infrared presence sensors and high-performance microphones, the Microsoft Surface Hub brings teams together seamlessly. 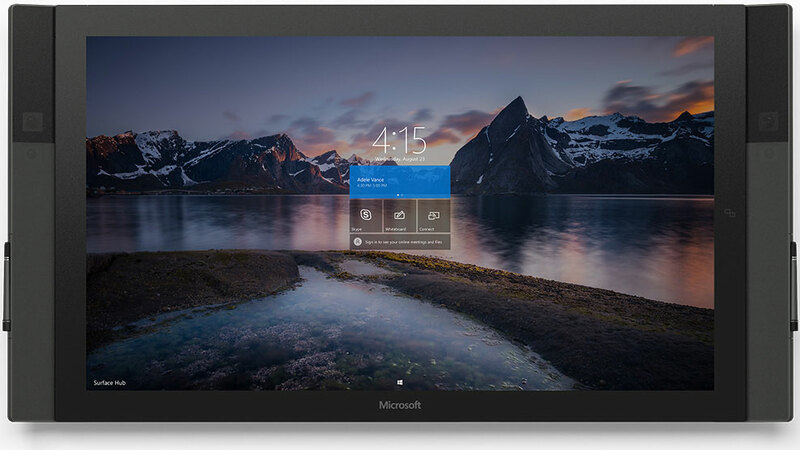 Rent the Microsoft Surface Hub today! 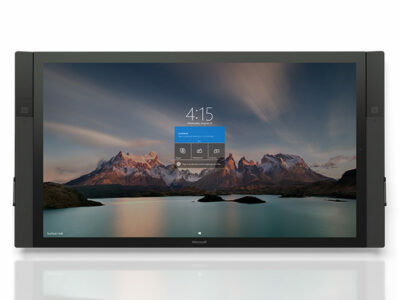 Microsoft Surface Hubs are available in 84” and 55”. Microsoft Surface Hub rentals are available daily, weekly, and monthly. Microsoft Surface Hub rentals are hand delivered to your event venue. Floor stands and wall mounts are available for your Microsoft Surface Hub rental. Technicians are available to setup and install your Microsoft Surface Hub rental. Microsoft Surface Hub reimagines the meeting experience so that you can unlock the power of the group. Best way to create and brainstorm with others. Share your ideas on a canvas as big as your imagination. Bring teams together in a way that feels completely natural, with technology that helps ideas flow. 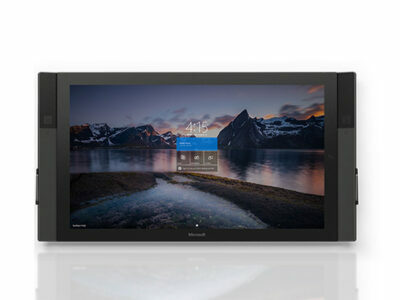 Microsoft Surface Hub apps take advantage of the large screen, touch and ink input, and onboard hardware like cameras and sensors.